Newtownards based Ballywhiskin Caravan and Camping Park owners invite you to their caravan and camping park situated on the picturesque North East Coast of Co. Down, overlooking the sea in Northern Ireland. An ideal location for a relaxing break convenient for working, swimming, horse riding and many other attractions. 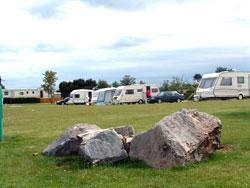 Pets are welcome at Ballywhiskin Caravan and Camping Park in Newtownards, Northern Ireland in the United Kingdom. 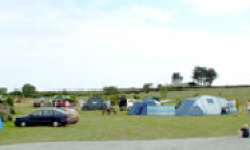 Ballywhiskin Caravan and Camping Park in Newtownards cater for motor homes, touring caravans, trailer tents and campers. New and used holiday homes available to buy on site. Children will particularly enjoy the play park, the playing field, our small animal farm or rock pooling on the beach. A water and drainage point is situated at one end of the touring area, close to the toilet and shower facilities, together with a chemical disposal point. Tokens for the showers are available from the site warden. There is a grassed area for the use of campers. 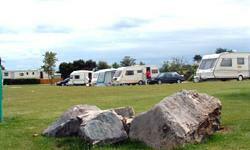 The park has facilities for 17 tourers, all with hard standing and electric.